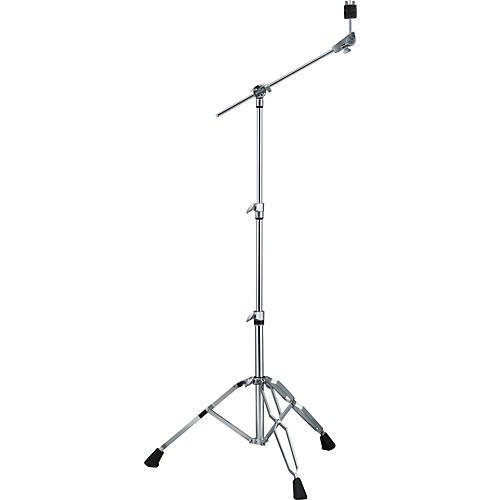 The Yamaha 800 Series Boom Cymbal Stand incorporates several design changes, including a toothless cymbal tilter for precise angle adjustment. The boom tilter is redesigned with a hinged clamp for a more secure hold while plastic caps in the vertical tubes prevent rattling. Yamaha uses pure zinc castings at all stress points to give the stand added strength.